Temporary Culture and Henry Wessells are pleased to announce a Critical Fiction Symposium on Tuesday 25 October 2011 to celebrate the publication of a new book by Wendy Walker. MY MAN & OTHER CRITICAL FICTION is an original collection of 8 critical fictions on Joseph Conrad’s Nostromo, King Lear, Olaudah Equiano, Harry Mathews, and other writers and texts. The critical fiction is a literary mode that takes as its subject another literary work and treats of that work’s construction, obsessions, and sources in narrative and poetic, rather than expository/critical terms. 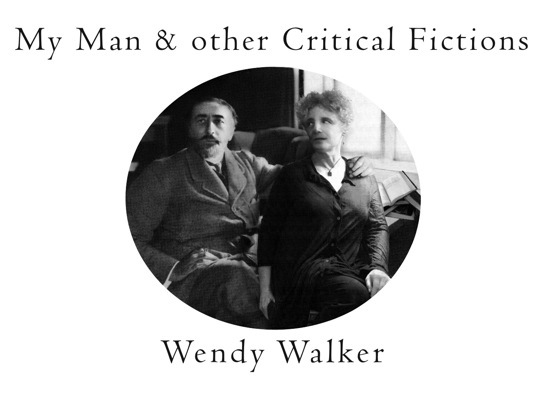 Wendy Walker is one of the chief proponents of the critical fiction today; some of her predecessors include Jean Rhys, Jorge Luis Borges, Angela Carter, and Guy Davenport. Participants will include WENDY WALKER, RON JANSSEN, JENNIFER NELSON, JOHN CROWLEY, and HENRY WESSELLS. Join us for an evening of wide-ranging literary conversation. WENDY WALKER is author of a modern masterpiece, The Secret Service (1992), and the formally innovative Blue Fire, A Poetic Nonfiction (Proteotypes, 2009), and several collections of short fiction. With her husband, author Tom LaFarge, Walker directs the publishing side of the Proteus Gowanus Gallery/Reading Room in Brooklyn. She is at work on Sexual Stealing, an inquiry into the origins of British Gothic fiction in eighteenth-century Jamaica and Haiti. RON JANSSEN is co-translator of three volumes of short stories by Chinese author Can Xue and teaches courses in exploratory writing and comparative rhetoric at Hofstra University. JENNIFER NELSON recently completed her M.F.A. in poetry at New York University and is a doctoral candidate in the history of art at Yale University. JOHN CROWLEY is the author of Little, Big and the acclaimed Ægypt quartet. He teaches creative writing at Yale University. HENRY WESSELLS is author of Another green world and publisher of Temporary Culture and the Endless Bookshelf. He is an antiquarian bookseller with James Cummins Bookseller in New York City. Date : Tuesday 25 October 2011, 6:00 to 8:00 p.m. Location : The Grolier Club, 47 East 60th Street, New York, NY 10022. Copies of MY MAN & OTHER CRITICAL FICTION will be available for purchase at the Symposium. The author will be pleased to sign copies afterwards.